the great thing about organising a dinner party is the leftovers. i was left with vegetables, mushroom, corns, seafood, and not forgetting the yummy broth for the steamboat. 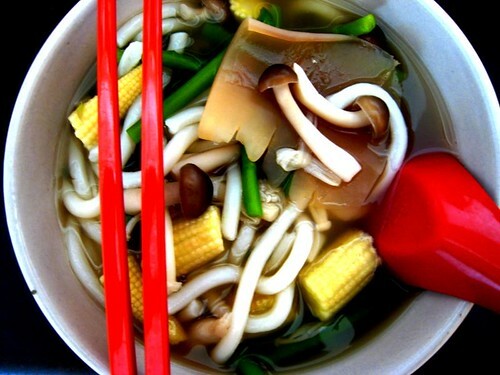 the next day, i boiled the broth, dump in all the ingredients, add some udon noodles. and i got myself a big bowl of comfort! happiness.